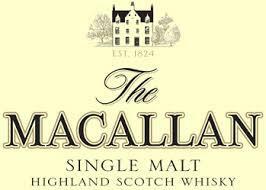 Founded in 1824, The Macallan was one of the first distilleries in Scotland to be legally licensed. Since then, The Macallan has built a reputation as one of the world's truly great single malt whiskies. To fully appreciate The Macallan, we must understand the contributing influences of Scotland, Spain and North America, and of their respective natural raw materials, together with the methods and the craftsmanship, Perfected over the generations, that combine to give such outstanding quality and distinctive character. "Starts with oxidized sherry feeling, red apples, raisins, vanilla and allspice. Clear feeling of dates, prunes, dried figs. Passage to the back palate involves an interaction with strong peppery touch with honey. Short to medium long with baking spices and pepper." Wine Enthusiast 93WE TOP 100 2017Best Spirits of the Year" Look for a rich butterscotch scent and a hint of fresh apricot. On the palate, this Sherry-matured single malt layers on concentrated caramel, butterscotch and custard, finishing long and spiced on a hint of orange peel. " "Macallan 12 Year Old Double Cask has been aged in a combination of American oak and ex-sherry casks. This is a rich whisky which combines fruity citrus and caramel with spicy ginger and nutmeg."